Gray's Lake is a community of apartments in Des Moines IA. We offer 1, 2, and 3 bedroom units with unique and convenient floor plans. Our community combines high quality apartments, with a wonderful location, and an excellent management team to create a great rental experience for you and your family. We want our Des Moines apartments to become your new home! 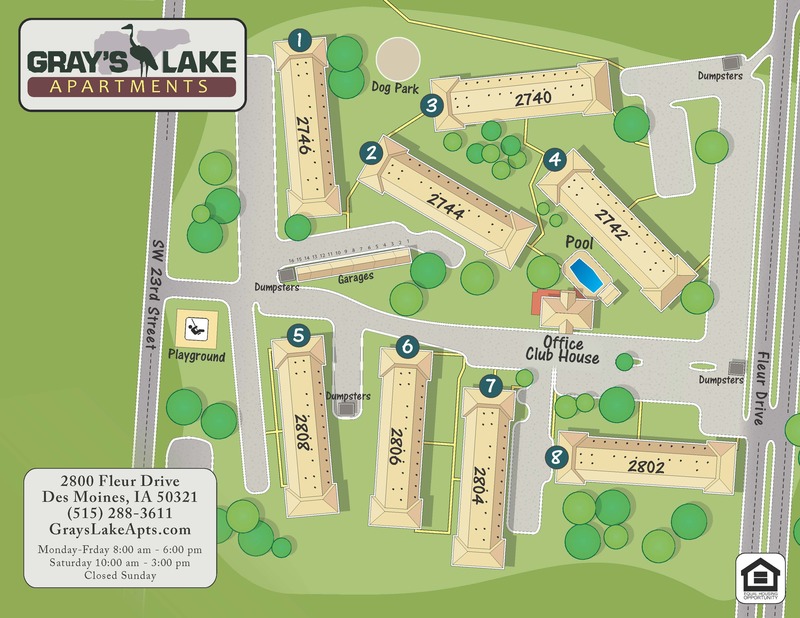 The features of the Gray's Lake Apartments are a blend of necessity and luxury. Our community of apartments for rent has beautiful landscaping and several outdoors areas such as a playground and swimming pool. We also have an on-site fitness center so you can exercise without having to get a membership at an expensive gym. Take advantage of these features as one of our residents! Click here to check out our property map.